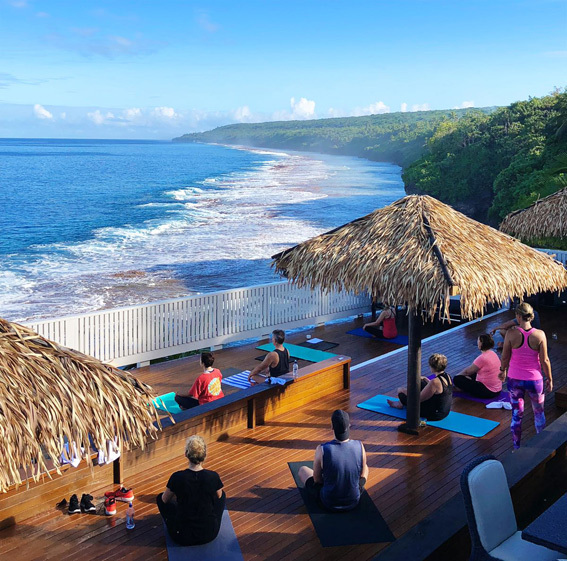 You're invited to a eight-day transformational Yoga, Fitness and Adventure Retreat for girls and guys in Niue. With Wellness Retreats NZ founder and yoga teacher Melissa Carroll, holistic and integrative nutritionist Kaytee Boyd and personal trainer Paddy Flavell. Escape to paradise for a luxury immersion into the nature and tranquillity of Niue Island’s azure blue waters and pollution free air with leading New Zealand wellness experts. The first 9 bookings will receive a complementary room upgrade to a Deluxe Cliff Top room valued at $600! (Must book by 31 March 2019). *Terms and conditions apply. Pricing based on a minimum of 14 travellers. Optional snorkelling trip, golf and diving at an additional cost.